The Truth In Savings Act(TISA) was implemented in December 1991 under the Federal Deposit Insurance Corporation Improvement Act and was designed to protect consumers as well as encourage competition between financial services providers in order to provide more fair and equitable services to consumers. The Act only applies to individuals and not businesses or companies opening new accounts. Basically, the Act makes provision for open and honest revelation of all fees, interest rates, restrictions and other charges related to opening a savings account. First and foremost, this allows consumers to compare different offerings from various financial institutions in order to make an informed choice regarding which provider will give them the best deal and meet with their requirements. The Act has also gone a long way to ensuring that banks live up to their promises and that there are no hidden factors that may be revealed at a later that could impact an individual negatively. In other words, banks and other financial institutions can no longer market their products using misdirection or false advertising. 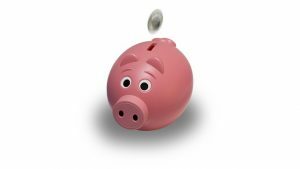 If a bank advertises a savings account as “Free” for example, they cannot then implement any banking charges or admin fees at any time. If they do this, they are in contravention of the Truth In Savings Act and legal recourse can be taken against them, you can contact Advocate Law Firm is you feel that this the case here: https://advocatelawfirm.org/. Normally this recourse would result in an individual being able to reclaim any loss of funds as well as fines and other penalties for the banking institution. It is important for consumers to understand their rights under the Act and make use of the provisions in order to receive the greatest benefit. Although it is up to the bank to be fair, transparent and honest, it is up to the consumer to investigate their options and use the protection that is provided.